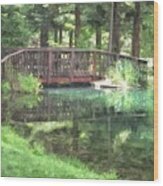 The Pond Bridge by Frank Wilson - 8.000" x 5.375"
The Pond Bridge art print by Frank Wilson. Our prints are produced on acid-free papers using archival inks to guarantee that they last a lifetime without fading or loss of color. All art prints include a 1" white border around the image to allow for future framing and matting, if desired. 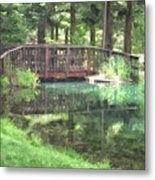 There are no comments for The Pond Bridge. Click here to post the first comment. 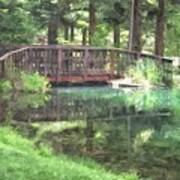 A wooden foot bridge crosses the end of a pond where it spills over a short waterfall into another pond. 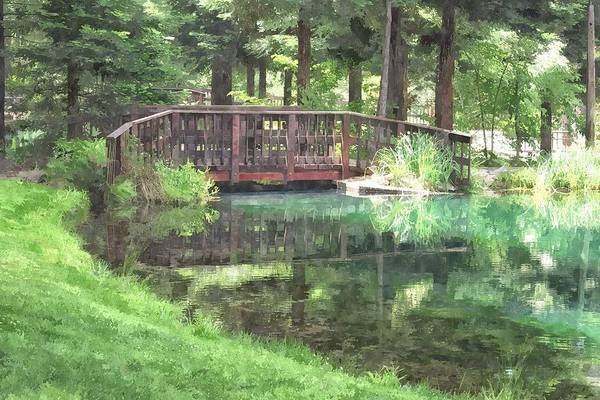 This photograph has been post processed to resemble a finely detailed watercolor. The watercolor effect is especially noticeable in the larger sizes.